Five 12-18 Driftwood Branches Limbs Sticks. Thick and Sturdy. Macrame Weaving Wall Hanging. Craft Wood. 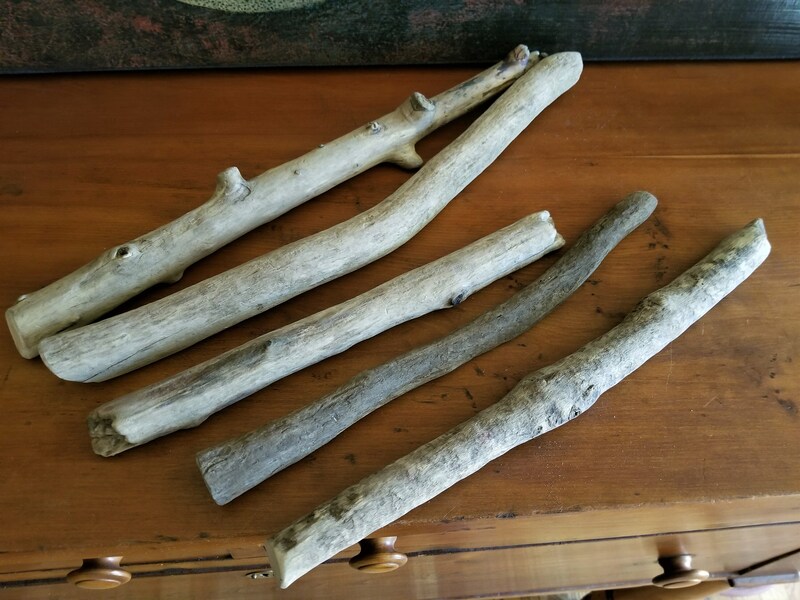 Five 12-18" Driftwood Branches Limbs Sticks. Thick and Sturdy. Macrame Weaving Wall Hanging. Craft Wood. 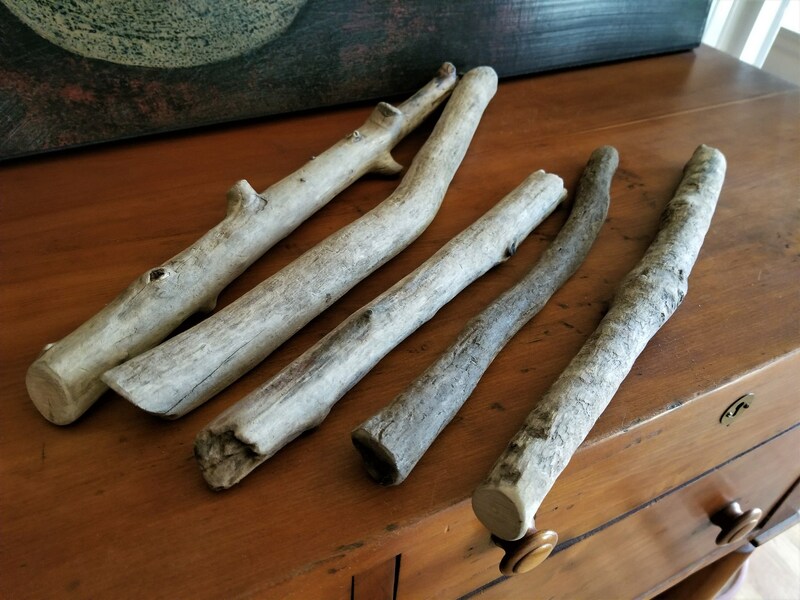 This bundle includes 5 driftwood sticks. Each will be between 12"-18". Average diameter is 1". I personally collect each of these from freshwater lakes and rivers in the Carolinas. Each is thoroughly cleaned. I trim jagged ends off when required, sand all cut / rough edges and bundle them together with twine. Each bundle will be a little different. 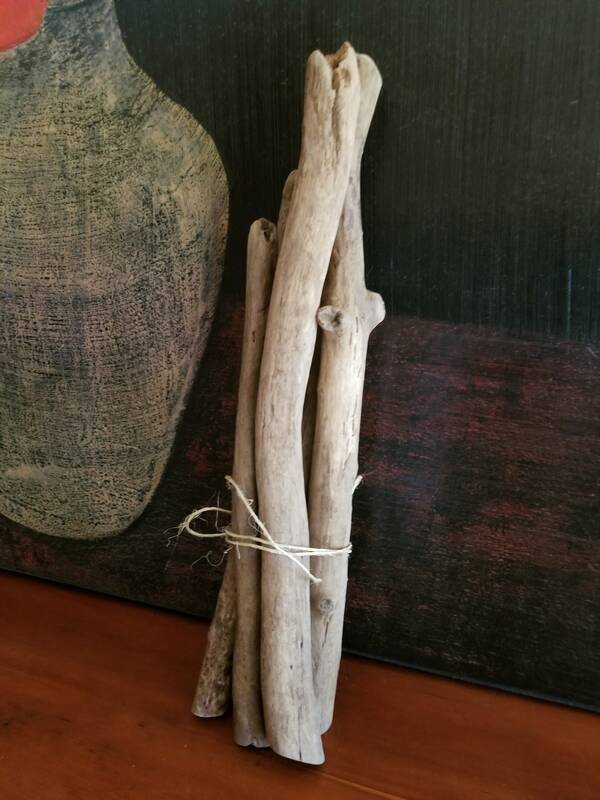 I look for pieces with a classic gray or brown driftwood patina. These are sturdy pieces that would make excellent macrame or weaving hangers or can be used for a variety of craft purposes. I'm happy to customize a bundle if you have any special requests for size or color. Bought this bundle to create jewelry hangers. Absolutely love the selection of driftwood! Received more than I thought! 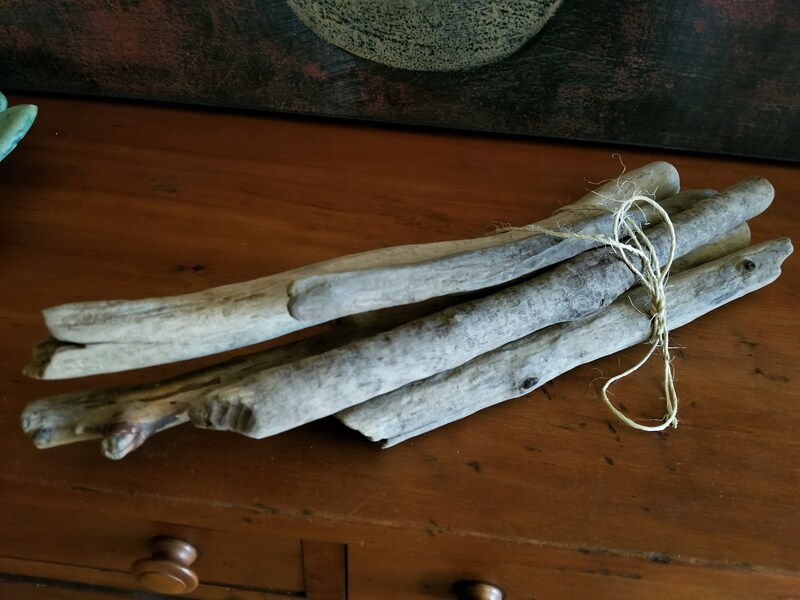 So excited to make more with the remaining driftwood for friends and family! Beautiful pieces and all very sturdy. I ordered a bundle of 5, and they added another one to my bundle for free! I already used one to make a macrame wall hanging, and my hanging sold 8hrs after I posted it! This driftwood really makes my macrame more aesthetically pleasing. Would recommend, and will be back for more!